Hello there stampers! I'm glad you visited my blog! Today I've got some inspiration for you using the FREE Beautiful Peacock stamp set from this spring's Sale-A-Bration flyer. 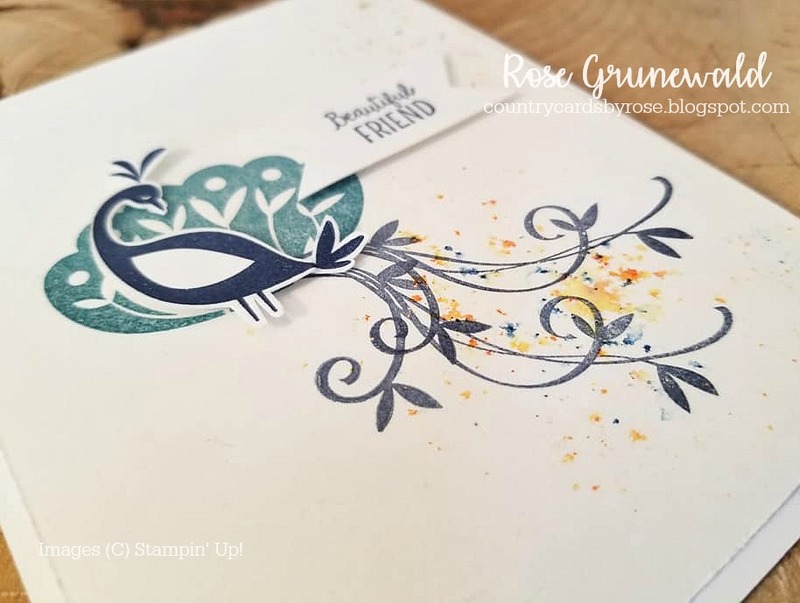 First of all, I need to gush about how much I love this stamp set. 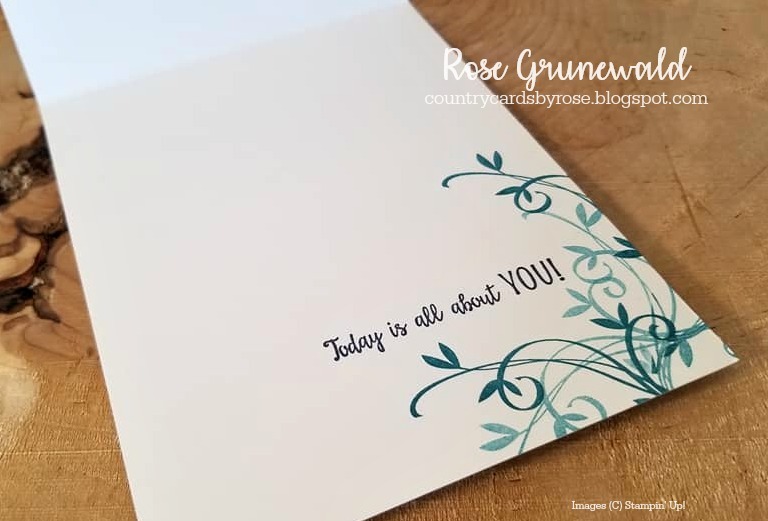 I've been so into clean and simple cards lately with a lot of "white space". This set is perfect for making a bright, beautiful impact with a clean and simple look. To get those pretty splashes of color, I used my Brusho Crystals. These dandies are quickly becoming some of my favorite product in my craft room. I just used my Stampin' Spritzer with water on some watercolor paper, then sprinkled the Brusho Crystals color over the spritzed area. Didn't it turn out just great? I fussy cut the peacock using my paper snips, and I popped it up on dimensionals. 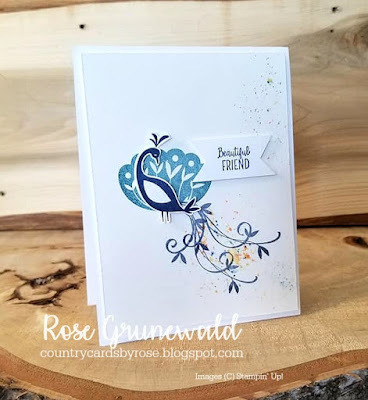 I just love layers in my cards! I stamped the inside of the card too. Those long, curled tail feathers are absolutely perfect for framing the sentiment - don't you think? Now, I can't take all the credit for this gorgeous design. 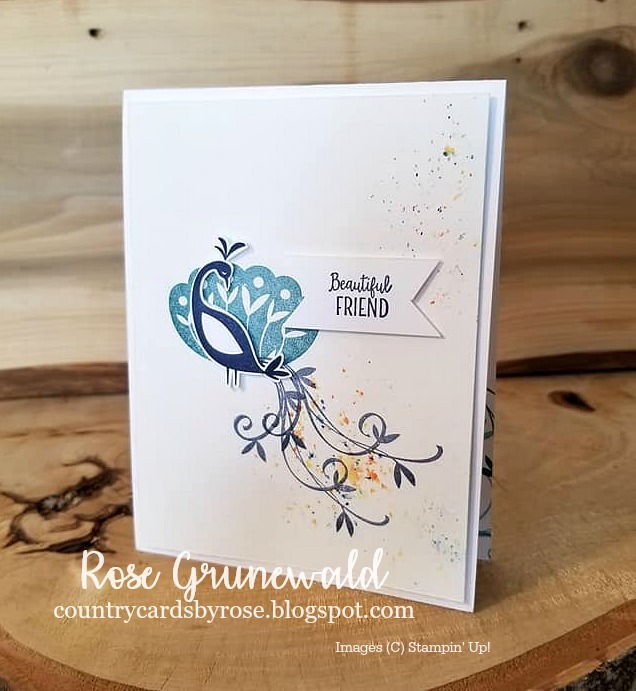 I got the idea for this card in the weekly email newsletter that all demonstrators get from Stampin' Up! 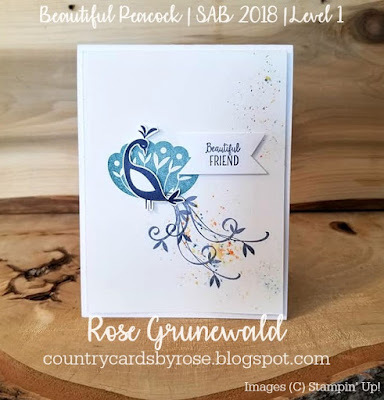 Each of these newsletters feature a stamp set and products with lots of ideas that I take with me to my craft room. I think it's seriously one of the perks of being a discount shopper or demonstrator! Also - when you order from me, you are invited to my PRIVATE Facebook group for my VIPs. We have a lot of fun there :). You can click below to go directly to my online store to order any of the products I used to make this card.